This article was written with inputs from, and reviewed by, Mr. C.R. Sudhir, General Manager (CNS), Airports Authority of India, heading the Ground Based Elements of the GAGAN Project at Bangalore, India. The article was published in Airbuz Vol 7 Issue II. The Navstar Global Positioning System, popularly known as GPS, is a space-based radio navigation system owned by the United States Government (USG) and operated by the United States Air Force (USAF). Using a constellation of 24-32 satellites in 6 orbits around the earth, an unlimited number of users anywhere in the world can receive signals from a minimum of 4 satellites to determine their position. Due to its global availability, the Navstar GPS is a Global Navigation Satellite System (GNSS). The system was intended for military and security purposes, and the first GPS satellite was launched in 1978. In 1993, twenty years after the US Pentagon conceived the idea of the GPS, the US Department of Defense made available the service for civilian uses, free of charge, as a standard positioning service (SPS), with an accuracy of 100 meters, while reserving the other service, the Precise Positioning Service (PPS), with an accuracy better than 22 meters, for authorized users, notably, the US military. The SPS is monitored by the US Department of Transportation’s Federal Aviation Administration, FAA, and is available on the L1 band, at 1575.42MHz. Selective Availability (SA), an intentional degradation of the GPS signals, led to the 100 meter horizontal accuracy and 156 meter vertical accuracy of the civilian service. On May 1, 2000, President Clinton announced the discontinuance of SA effective midnight 1 May 2000. The effects of SA went to zero at 0400 UTC on 2 May 2000, improving the accuracy to 20 meters. Practically observed, 95% of GPS position reports lie within 7.8 meters in the horizontal plane and 13 meters in the vertical. Well designed GPS receivers have been achieving horizontal accuracy of 3 meters or better and vertical accuracy of 5 meters or better 95% of the time. Although accurate, the system is, by itself, is incapable of guaranteeing that the source of information is free of errors. In July 2001, a clock problem on one of the GPS satellites caused errors of 2000-3000km. This error lasted 90 minutes. Based on information received from satellites, the receivers determined the position as accurate, but the erroneous source of information led to a “wrongly accurate” position. This poses a problem of positional information integrity during the most strenuous phase of flight: precision instrument approach. GNSS receivers determine their position through “pseudo ranging”: using one satellite’s signals as a reference, against which the signals from three other satellites are compared to arrive at time delays, which correspond to distances from satellites. The position of each satellite is contained in the satellite signal broadcasts. A minimum of 4 satellites are required. 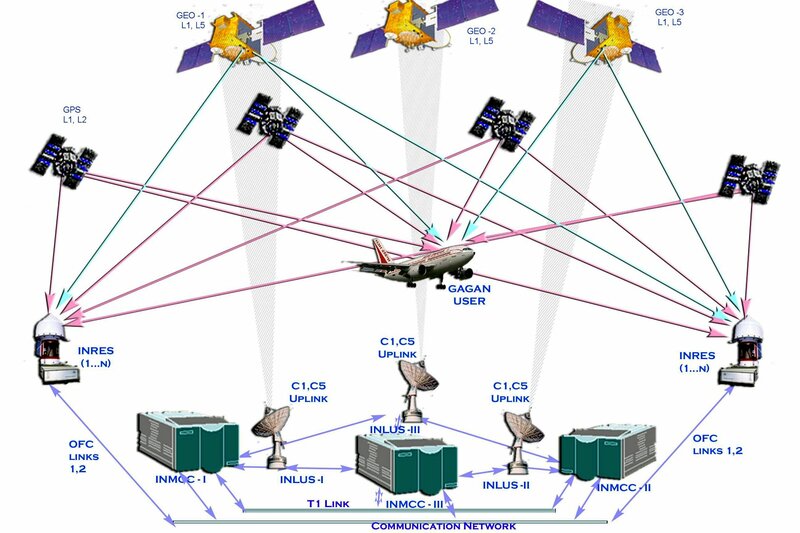 If a 5th satellite’s signals are received, the receiver can use the data from a combination of 4 satellites at a time, and compute 5 positions. If one of the positions disagree with the other 4, the receiver detects a fault, but is unable to pinpoint the faulty satellite. If a 6th satellite’s signals are received, the faulty satellite can be identified, isolated, and its signals not used for position computational purposes. Through this method, known as Receiver Autonomous Integrity Monitoring, or RAIM, the receiver is able to deduce the integrity of the computed positional accuracy. Greater the satellites, greater is the positional accuracy’s integrity. This feature is mandatory on certified airborne GNSS receivers. However, the RAIM algorithm, which allows you to check for positional integrity, needs a minimum of 6 satellites, and it may take up to 6 hours for the USAF to disable navigation signal from a satellite with an erroneous clock. The worst case scenario is if signals from 6 satellites are being received, and 3 satellites are bad, or even worse: if all suddenly go bad. The RAIM algorithm cannot account for these situations, which may lead to misleading information. Hence aviation GPS receivers, all of which must check for RAIM, may only be used for supplemental, not primary navigation. If accurately surveyed GNSS monitoring stations on the ground receive GPS signals, compare the received data with the expected data (based on their fixed, surveyed position), the error can be computed. If this error is uplinked to Geostationary Satellites, which then broadcasts to all GNSS receivers in the area, the GNSS receiver can apply the necessary corrections for greater accuracy, as well as obtain additional data regarding a satellite’s health, allowing for higher levels of integrity. Such a system is known as a Satellite Based Augmentation System (SBAS). A SBAS is not stand alone: it augments, not replaces, an existing GNS system, over an area as wide as covered by ground monitoring stations. SBAS systems presently operational are: Wide Area Augmentation System (WAAS)-USA, European Geostationary Navigation Overlay Service (EGNOS) and the Japanese Multi-functional Satellite Augmentation System (MSAS). 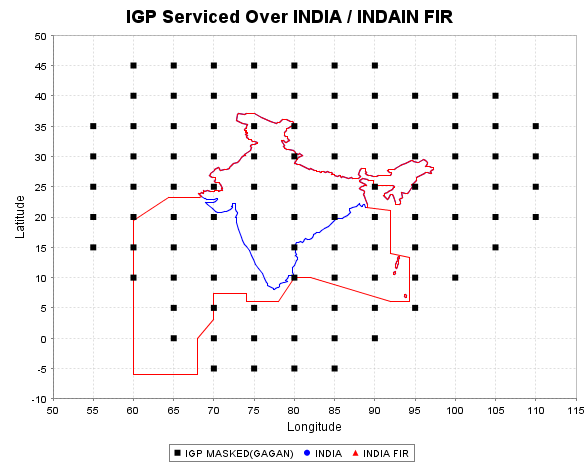 The Indian GPS Aided Geo Augmented Navigation (GAGAN) is the forth and latest SBAS to become operational. All four SBAS augment the Navstar GPS. There are two important sources of GNSS derived position errors: satellite errors, and signal propagation delays. Satellite errors, such as clock and positional errors, applies to every user, irrespective of their location. Such errors, if known and corrected, improve receiver accuracy. Signal delays are specific to the user’s location, based on the conditions prevailing in the ionosphere above the user, through which the satellite signals must pass. It is necessary for a user to correct for these errors, to further improve the positional accuracy. Correcting for location-specific ionosphere induced signal propagation delays is a challenge. To overcome this, the ionosphere, situated 350km above the earth’s surface, is mapped onto multiple grid points, each measuring 5° by 5°. The degrees correspond to the latitudes and longitudes over which the ionosphere is present. Each grid point is called an ionospheric grid point (IGP) Ionospheric delays will be estimated for each of these IGPs by installing precisely surveyed Reference stations established at strategic locations. In the GAGAN system, developed jointly by AAI and ISRO, Indian Navigation Reference Earth Stations (INRES) have been established throughout India, with equipment supplied by Raytheon. There are 15 such stations, each located within the airport perimeter at the following places: Ahmedabad, Bangalore, Bhubaneshwar, Dibrugarh, Gaya, Goa, Guwahati, Jaisalmer, Jammu, Kolkata, Nagpur, New Delhi, Porbandar, Port Blair, and Trivandrum. Each INRES station has 3 accurately surveyed GNSS antennae, placed close to each other. The ground station collects and processes data from all 3 antennae, and sends the collected data via redundant routes to the Indian Master Control Centers (INMCC) located at Bangalore. The INMCC receives the data collected by all the INRESs and uses this data to calculate the differential corrections and the ionospheric delay estimates for each of the monitored GPS Satellites and the IGPs respectively. The residual error bounds are also estimated to determine the integrity parameter. The compiled satellite corrections for each monitored GPS satellite, ionosphere corrections for each grid point, and integrity data form SBAS messages. The SBAS messages are then uplinked to geostationary satellites GSAT-8 and GSAT-10, which then broadcast the same messages on the same GPS frequency, but with different data rate and PRN code, allowing SBAS compatible receivers to identify these satellites and receive, decode and process the correction and integrity data. While GPS Navstar satellites uses codes between 1 and 32, SBAS satellites, which are Geostationary satellites, use codes between 120 and 158. GSAT-8 and GSAT-10 transmit the data with codes 127 and 128, respectively, and will appear on some SBAS-compatible GNSS receivers as satellites 40 and 41. GSAT-8 and GSAT-10 are positioned above the equator, at longitudes 55°E , 82°E. The two satellites broadcast the same message, ensuring system redundancy. A third satellite, GSAT-15, will join the GAGAN constellation, in 2015, and will be positioned at 83°E. GSAT-15 will serve as an “in-orbit spare”, to be switched on if either GSAT-8 or GSTA-10 fail. Redundancy exists on ground as well, in addition to the three sets of INRES antennae per location, and 3 channels of data transmission. Besides the two sets of 11 meter satellite uplinks (INLUS-1 and 2) feeding data to GSAT-8 and GSAT-10 from Bangalore, a third, INLUS-3, at Delhi, can uplink to either GSAT-8 or GSAT-10, should either one of the Bangalore based INLUSs fail. Based on signals received by a compatible GNSS receiver, from the Navstar GPS constellation and the GAGAN SBAS Satellites, the receiver will determine the nearest grid points based on its present position, and interpolate the corrections to determine the ionosphere corrections to be applied. After applying all corrections as included in the SBAS message, the receiver computes a very accurate GPS position, along with the horizontal protection limit (HPL), and the vertical protection limit (VPL), while also monitoring integrity information present in the SBAS message. The HPL and VPL together form a cylinder in space within which the position of the receiver in space is known, with surety. However, if this cylinder grows too large, the uncertainty in the receiver’s actual position may lead to accidents such as controlled flight into terrain (CFIT). For this purpose, aircraft GNSS-SBAS receivers certified for aviation use must have alerts, defined by Horizontal Alert Limit (HAL) and Vertical Alert Limit (VAL). Based on the phase of flight, namely: terminal, enroute, and approach, the HAL and VAL vary, and if the HPL or VPL exceed these limits, the pilot is notified of a downgraded GNSS navigation, which forces him to abandon the GNSS receiver’s navigation information. The level of integrity supported by GAGAN is high enough to allow for only one hazardously misleading positional information in 10 million approaches. En-route, such as the later phases of climb and early phases of descent, can afford to have lenient protection bounds, and an alert flashing in 5 minutes is sufficient. However, closer to the airfield (terminal), during early phases of climb and later phases of descent, when the altitude is lower and potential for a terrain and traffic collision greater, the acceptable performance limits are tighter, and the pilot is intimated within 15 seconds of a performance degrade. LNAV and RNP approaches, which are treated as instrument non-precision, have tighter bounds with no vertical navigation component. Approach with Vertical Guidance (APV) is treated as a precision instrument approach, with horizontal and vertical guidance. APV 1 and 1.5 differ in their time the system takes to alert the pilot. Such measures not only improve accuracy, but allow all operators in the air traffic system to place faith in the integrity and reliability of the whole system. The biggest benefit of the GAGAN system is the ability to transition the GNSS system from a supplemental navigation aid to a primary navigation aid. The change is possible due to the GNSS-SBAS’s high level of availability, integrity, accuracy, and continuity necessary for its use as a primary navigation aid. The effect is the evolution of navigation from ground-based navigation aids to a GNSS-based system. This evolution allows the shift away from existing airways (enroute), arrivals (terminal procedures), and approaches that were inefficient due to their reliance on the location and installation of expensive ground based very high frequency omniranges (VOR), thereby allowing for more direct routing for both high and low altitude airways, and the ability to fly a precision, instrument approach using the GPS. The typical accuracy levels of a VOR are 0.5NM, while the GNSS-SBAS system supports enroute navigation of RNP 0.1, and CAT-I ILS like precision approaches down to a 200ft decision height. Distance Measuring Equipment, or DME, which along with VOR form the backbone of today’s air traffic system, can support only a limited number of aircraft at a time. However, GNSS can support an unlimited number of users at any point of time, allowing for denser traffic and limitless expansion. ADS-B, part of the next generation Air Traffic Management, shifts away from land based radar PSR and SSR) installations, towards airborne automatic position reporting, for surveillance. Such a system relies on the aircraft to compute its position, something a challenge with general aviation, business, and certain regional aircraft with no inertial navigation system or area navigation systems on board. With the GAGAN system, autonomous positioning reporting by aircraft equipped with a Mode-S transponder enabled with ADS-B out will eliminate the need for expensive ground based radar installations to manage air traffic. With inexpensive ADS-B ground stations, and complete Indian landmass coverage, air traffic movements can be made significantly more efficient, through direct routing, and reduced aircraft separation. Current airborne GNSS receivers are certified under TSO-C129 standards, which only has RAIM, and supports supplemental navigation. To work with the SBAS, and fly an APV 1 or 1.5 to the 250ft decision height, an aircraft needs to be equipped with GNSS receivers and antennae certified under TSO-145/146. In addition, the aircraft needs to have two such receivers, and the integration of the receiver with every system needs to be checked, such as the autopilot, the display instruments, and appropriate annunciators to warn the pilot should the navigation performance deteriorate beyond acceptable limits. 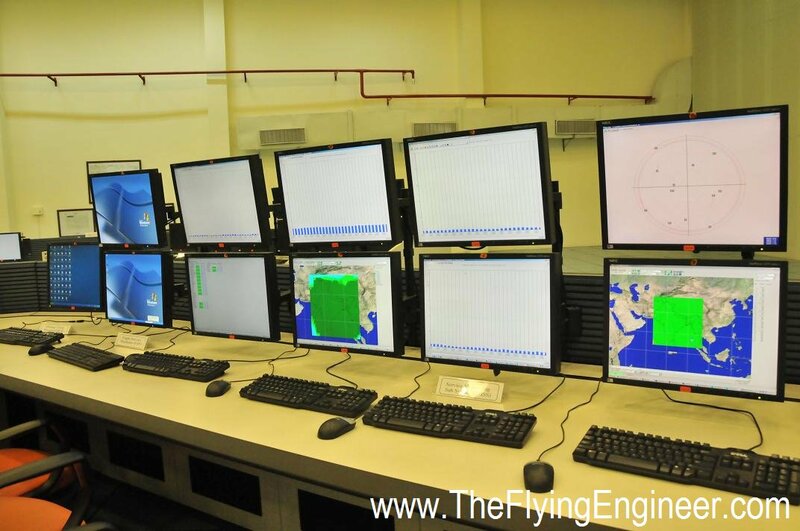 The GAGAN system costs approximately INR 774 Crore (US$126M), from testing to becoming operational. Once operational, however, the system is expected to cost around INR 50-60Cr (US$8-10M) to maintain, annually. In sharp contrast, a single VOR-DME system costs around INR 1Cr (US$162k), and an ILS system costs around INR 25 lakhs (USD 41k). If a new airfield is opened, an ILS installed on either runway end, and a VOR-DME installed, the cost will touch INR 1.5Cr (US$244k) per airfield, will take considerable time, and will require significant calibration test flights. With the GAGAN system fully operational, all it will take to publish a new approach at an airfield is a test flight. As of January 9, 2014, there are 3,364 SBAS Localizer Performance with Vertical guidance (LPV, equivalent to the APV) approach procedures serving 1661 airports in the US. This is almost 5 times the number of ILS installations in the US. The GAGAN system is intended for civil, peaceful safety of life applications. Redundancies at every level, in addition to the integrity information broadcast to users, makes the system very safe and reliable. However, like other civil aviation navigation aids, such as VOR, ILS, and DME, the civilian GNSS system is not immune to jamming. The problem is amplified in the case of satellite based navigation, as the signal strengths of each transmission is extremely low. In addition, GAGAN is not a standalone system. It relies on a GNSS constellation to augment the performance of the system. A SBAS system without the GNSS constellation is useless. The present GNSS constellation, Navstar, is under the control of the USAF. This, and the high jamming probability make the system unsuitable for military use. 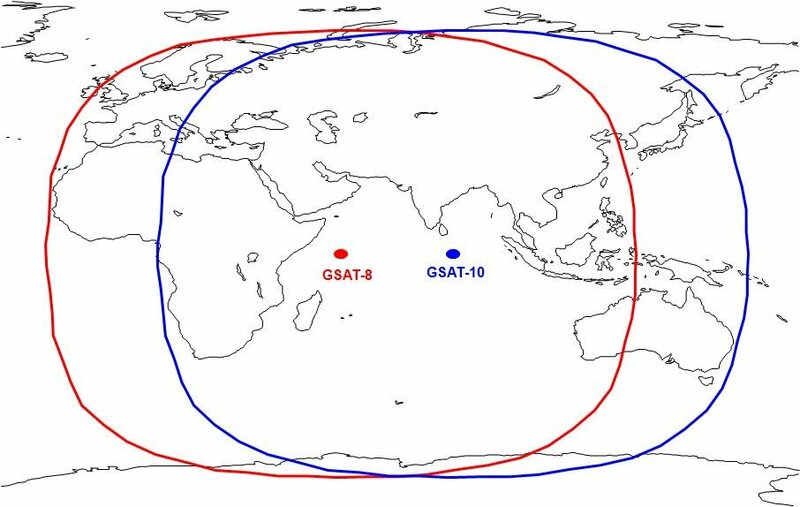 The Geostationary satellites GSAT-8 and GSAT-10 have a combined coverage extending from Africa to Australia. The GAGAN system can support 45 ground stations, leaving room for 30 new ground stations in neighboring countries within the GAGAN footprint. This will help develop the air traffic system in eligible states, while helping offset the huge costs associated with the project. GAGAN’s next target is to augment multiple navigation constellations: GLONASS of Russia, GALILEO of Europe, and IRNSS (Indian Regional Navigational Satellite System). The first satellite for India’s own navigation constellation, IRNSS, is expected to be launched in 2014. The GAGAN system presently broadcasts on the L1 frequency band. In line with the planned transition of the Navstar GNSS to dual band L1 & L5 in the year 2020, GAGAN may follow in sync, broadcasting on the L5 band as well. GAGAN, like other GNSS and SBAS services, is available free of charge to all users, both aviation and non-aviation. ICAO has endorsed Global Navigation Satellite System as Future Air Navigation System (FANS) for civil aviation, and this is India’s first step towards modernizing the regional air traffic system. By January 2014, GAGAN will support RNP 0.1 operations, with the support for APV 1/ 1.5 expected between mid-late 2014. Once fully operational, GAGAN will result in tangible savings: as fuel for aircraft operations, with direct routing, and as inventory and ground installation savings, for AAI. The system will allow for greater revenue, both for operators that can now land with lower minima, with the APV, and for AAI which can allow a denser air traffic system thanks to improved accuracy, integrity, and reliability.